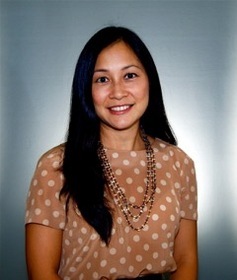 CHICAGO, IL--(Marketwired - Dec 14, 2015) - Grace Chang, a finance and real estate professional with 20 years of U.S. and global experience, has joined JLL (NYSE: JLL) as Managing Director, Corporate Finance and Investor Relations. She will lead the firm's global corporate finance initiatives and serve as principal intermediary between JLL and the institutional investor community, including holders and prospective holders of the firm's equity and debt securities. Chang will report to CFO Christie Kelly and collaborate with JLL's global and regional senior management, business units and corporate functions to interpret for external and internal communities the firm's financial and operating performance as well as its strategic direction and initiatives. She will work closely with newly named Treasurer Bryan Duncan, Assistant Treasurer Sergio Calvo III, Controller Louis Bowers and Director, Finance and Investor Relations Karen Samhat. "Throughout her career, Grace has demonstrated an ability to thrive in various business lines while taking on new responsibilities. In previous finance and operating roles, she gained invaluable exposure to the real estate industry and is able to appreciate the growth potential at JLL," said Kelly. "Our people and culture define our company, and we're thrilled to add Grace's collaborative, energetic and positive style to our team." Chang joins JLL after two decades at GE where her leadership roles included serving as CFO and managing M&A transactions and post-acquisition integration. She has held senior positions in business development, corporate strategy and, most recently, investment management while raising capital from GE Capital's institutional investors on a global basis. Having worked in Asia for many years, Grace has also structured and negotiated a variety of cross-border investment partnerships and strategic joint ventures. "I am delighted to join a world-class organization with a collaborative culture like that of JLL," Chang said. "I look forward to working with JLL's dynamic and talented team to deliver continued financial excellence and strategic growth which will create value for the firm's clients and shareholders." Chang earned a Bachelor of Arts degree in Economics from the University of California, Berkeley and completed several leadership and executive management courses while at GE.